During this year some pupils of 5th of Primary have been doing a Science project. 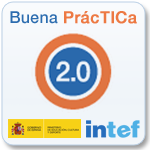 In this project they have worked the same contents as in Conocimiento del Medio. They also have prepared posters and mind maps about the topics they have found out.The students wanted to share what they have learnt with the rest of the school and decided to display their work on a noticeboard in front of their classes.